I enjoy experimenting with both process and style. 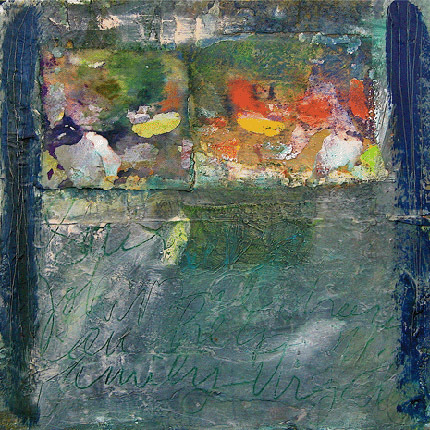 The non-objective mixed media collages start with a concept which is often buried under many layers. I allow the piece to change; it flows from my intuitive process. While I might do a series with the same concept, the process creates different end results. I build up a "history" of layers; the challenge is unifying and relating the various elements. Using memorabilia and found objects, I create personal narrative collage and assemblage pieces. The mixed media pieces may be drawn, painted, layered, scratched, scraped, torn, sewn, nailed, glued and/or glazed. My work has been shown in numerous area group shows and one person shows in Portland , Bellingham, and Moorhead MN.